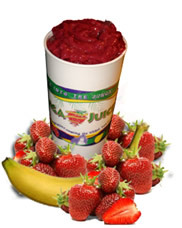 If you are looking for information on the Junga Juice franchise business opportunity, Junga Juice franchises or Junga Juice franchising, then you have come to the right place. Junga Juice Cafe is a unique concept which melds the coffeehouse cafe, and smoothie shop into one very inviting, relaxing and tasty establishment. A Junga Juice Café is bold by smoothie shop standards, but calm with a subtle organic atmosphere designed to slow people down. Junga Juice Café has a premium smoothie lineup of 31 great drinks. Each drink is made from a selection of 9 varieties of 100% juice, a combination of fresh fruit from an assortment of 9 different fruits, and a couple scoops of one of 6 different fat-free yogurts, sherbets, and sorbets. 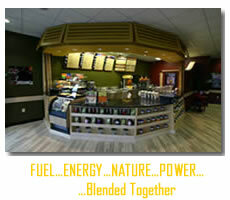 Junga Juice also offers a full compilation of organic espresso, coffees, and loose leaf teas. Junga baristas our taught how to make rich and silky lattes and cappuccinos using old world techniques not often seen in the standard American coffee shop. Junga Juice Cafe also boasts a large selection of pastries, snacks, soups, salads, and sandwiches. A Junga Juice Café can operate in a diverse assortment of sizes and location from a small kiosk in malls, universities and food courts up to 1500 square foot stores with drive-thru, and ample lobby setting in our Junga lounge with free Wi-Fi and plush seating arrangements. You can be assured that we have thought of everything to get your business up and running. By buying into the Junga Juice Café Franchise Opportunity you are not just getting a name and a recipe card: you are buying into a proven success system that gives you everything you need for success. 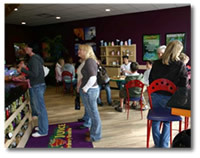 Junga Juice is successful because our franchisees get to tap into two very successful industries, smoothies and espresso. Both of these industries have customers willing to pay top dollar for a premium product; both industries have continual annual sales growth, loyal customers who frequent multiple times a week and a sophisticated customer base with above average disposable incomes.